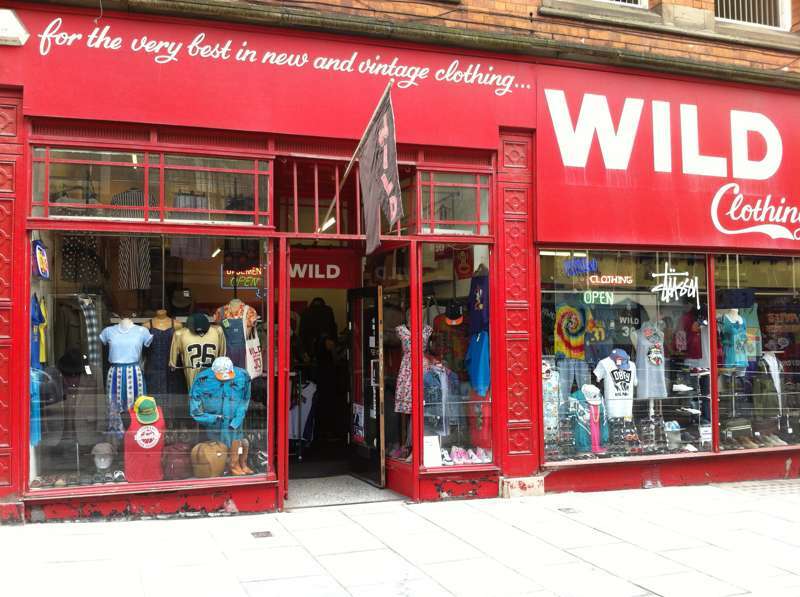 Opened in 1983, Wild Clothing has an outstanding reputation for the quality and variety of its vintage clothes, though they do sell some new stuff too. An enterprising and well-considered buying policy has kept it at the fashion forefront, its varied stock spilling over two medium-sized floors. The soundtrack is spot-on as well – no hip-hop blasts, but more R&B and Soul from the Sixties onwards. Sells branded clothing from the likes of Pop, Bantum and Obey, plus men’s denim cut–offs, shell tops, dresses, camouflage jackets, shoes, sunglasses, tie-dye T-shirts and some great Western/ Hawaiian shirts with the 1980s versions perhaps offering the most striking designs.